The LA Comedy Club is well known for its tremendous hospitality. You'll see only the best local and national comedians here. Book your tickets online today and save up to $16/pc. Comedy, Laughter, and steps away from great food. The La Comedy Club is your best laugh on the strip! 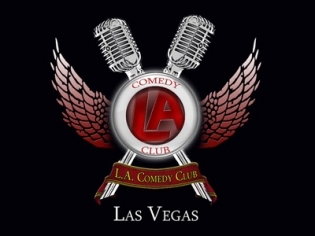 The LA Comedy club features some of the best comedians in Vegas. Reserve now to save $5 on General Admission, $10 on VIP, or Save $16 on an all you can drink VIP pass. The LA Comedy Club is different from your average comedy venue. They take extra special care to create a welcoming environment for their guests and have an extremely loyal following of Las Vegas residents. In Vegas since 2007, the club features different headliners each week. The LA Comedy Club is well known for its tremendous hospitality, in addition to providing a great venue for local and national comedians. The club celebrates a healthy local following. The LA Comedy Club is not only the perfect spot to see great comedy, but also a fun way to experience a more intimate show that provides a small taste of how Las Vegas residents enjoy their evenings out. The LA Comedy Club goes to great lengths to bring in quality comic entertainers. Many of their past performers have national exposure on television series such as “Last Comic Standing,” as well as some comics with HBO, Showtime and Comedy Central special credits on their resume. The LA Comedy Club does not have a drink minimum, but you can purchase special all-you-can-drink beer and well drink packages. With great entertainment, affordable pricing and personalized guest attention, the LA Comedy Club is a great choice for a raucous evening of comedy in a welcoming and intimate setting. LA Comedy Club is FUNNY! This has become my new favorite place for a laugh in Vegas! The New and renovated showroom is really nice! There is an All You Can Drink Special which was great! There were 5 comedians and each one had their own funny bit! I laughed so hard my cheeks hurt! I really enjoyed my night! My wife and I thought we would give this show a chance . Smaller room approx 50 seating area made it nice to feel closer to the comics. Funny show. May not be one of the bigger comedy shows, but was a good time.